Lake Las Vegas Resort is a 3,592-acre international residential, golf and resort destination surrounding a privately owned 320-acre lake. An Old World Mediterranean theme is reflected in the overall design and ambiance. 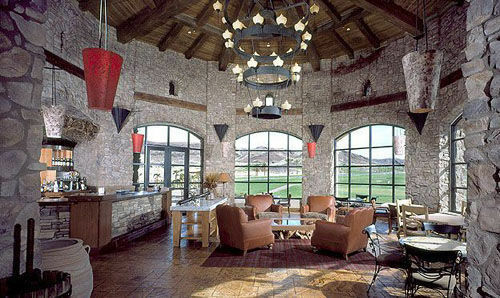 The resort offers a waterfront retail village and up to two championship golf courses. The main entrance is located on Lake Las Vegas Parkway off Lake Mead Parkway - seven miles east of US highway 95 and Interstate 215. The Lake Las Vegas Resort Vacation Villas program offers visitors a choice of exclusive rental villas located throughout the resort. Villas feature beautiful vistas, elegant designer-enhanced furnishings and full kitchens, as well as access to the resort's many amenities.